Have you ever wondered what teachers do during professional development days? It’s more than just a day off for students. Teachers are hard at work furthering their knowledge and working together to continuously improve the learning experience for students. The four days each year are built into the district calendar. Teachers spend the first part of the day focusing on district-wide professional development and the second part concentrating on teacher-initiated learning. The topics are mapped out based on district initiatives, such as what it means to be an effective and collaborative team. This year, the professional development focus is dedicated to creating quality learning experiences for students, from mental health and well-being training to improving instructional practices. Teachers across Gahanna Jefferson Public Schools are encouraged to continue their learning and dive deeper outside of these dedicated days. The district offers on-going development opportunities, an embedded instructional coaching program, and weekly 30-minute peer groups known as Professional Learning Communities (PLCs). In the weekly group meetings, teachers are placed into small groups and are able to plan together, discuss student successes and challenges and figure out how to best support each other. January’s professional development day was focused on mental health. This was a direct outcome of a recent district-wide town hall meeting focused on school safety. 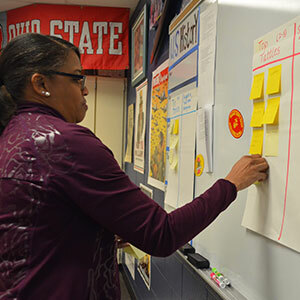 For this professional development day, teachers were able to choose between two sessions. The first session focused on supporting other teachers, while the second session concentrated on supporting students. Topics of interest were gathered by staff ahead of time and presenters were comprised of both district staff and outside experts. 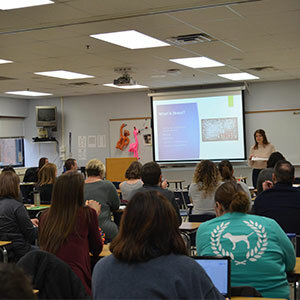 Topics included detecting signs of anxiety and depression, work-life balance, de-escalation strategies, peer-to-peer interactions, conflict resolution and how to help students navigate social relationships. “As a teacher with over 20 years of experience, it is refreshing to learn new strategies and be reminded of the power I hold as an educator to make a positive difference for students,” said Joan Miller, a teacher at Middle School East. Miller goes onto say that she believes the best part of a professional development day is that it underscores the choice and voice Gahanna teachers have in their learning. Teachers are encouraged to speak up and contribute to what they are learning to best serve their students. Moving forward, Holliman says that she would love to gather feedback from students and parents on the effects they have seen from the professional development days programming. She also stresses that they are far from a one-and-done initiative. By providing various avenues of learning for teachers, they continue to grow, which in turn, helps students excel.